At GivePenny, we want to build a fundraising platform that feels like it is from the future. We’ll help fundraisers to connect their personal goals, the things they count every day and their apps, websites, wearable technology and other internet-connected devices to charitable giving. GivePenny is built in a way that lets you shape your fundraising activity around your imagination, not the other way around. In 2014, Lee Clark connected the dots that eventually formed the concept behind GivePenny. Read Lee's story here. Today, we're a playful bunch of ideas-people based in the wonderful city of Birmingham in the UK. As a business, our focus is on building an amazing fundraising platform and putting it in the hands of fundraisers and the charities they love to help them raise more. It is free for fundraisers and charities to use GivePenny.com. In the future, we want to build a premium service for charities, helping them to build incredible appeals, virtual events and more. We’re also considering building our own secure payment process system. You can read more about transaction fees here. Lee recognised the opportunity to change online fundraising forever during 2014 and the idea for GivePenny was born. 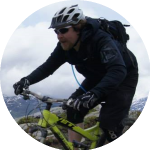 As a regular fundraiser himself, he enjoys committing himself to physically demanding activities in return for donations to his favourite causes. Ed loves snowboarding. He also loves technology and the power it gives us to change the world. 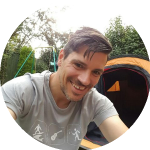 As a co-founder and Technical Director of GivePenny, Ed can't wait to show you the technical insights we have made that will make fundraising even more fun! 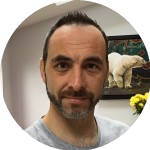 As a co-founder and Operations Director for GivePenny, Richard spends his time making sure that the chaos that comes with a team bursting with ideas comes to some sort of order! A keen tennis player. March 2013 - after 4 months of training hard during freezing weather, our founder, Lee Clark has to pull out of a charity cycling event due to a nasty bout of flu. Guilt sets in as he realises that he can't complete the event he's raised money for on a traditional online fundraising website. November 2013 - as an annual participant in Movember, Lee sees first-hand that a lot of people avoid donating small amounts and wonders whether that's driven by pride. November 2014 - Lee watches inspiring TED Talks by Dan Pallotta and Dave Erasmus and has an epiphany. The idea behind what will eventually become GivePenny consumes Lee's every thought and he decides to release the idea to some of his friends. He asks for help and advice on how to bring order to the thousands of ways to turn the idea into a reality. Not much sleep happens. January 2015 - Lee is introduced to Ed Russell, who he later describes as "the greatest tech wizard I've ever met." March 2015 - GivePenny is formally established as a company, with Richard Waldron (bringing order to chaos), Ed Russell (casting tech spells) and Lee Clark (bursting with ideas and enthusiasm) at the helm. January 2016 - GivePenny is launched to the public as a world-first in connected online giving. It is free for fundraisers and charities to use GivePenny.com! As a business, our focus is on building an amazing fundraising platform and putting it in the hands of fundraisers and the charities they love to help them raise more money. In the future, we want to build a premium service for charities, helping them to build incredible appeals, virtual events and more. We’re also considering building our own secure payment process system.